TL;DR Disqus is a great tool for adding interactivity through conversation and comments to your blog. Integrating it with your WordPress site is really simple. The downside to Disqus is that it requires another set of credentials before users can interact with your site. Today, we'll show how to eliminate the need for users to log in twice with Auth0 and Single Sign On (SSO) for a better user experience. WordPress makes it easy to create blogs and other media sites. It is one of the leading CMS systems out there, and allows developers to create powerful websites that users can engage with. 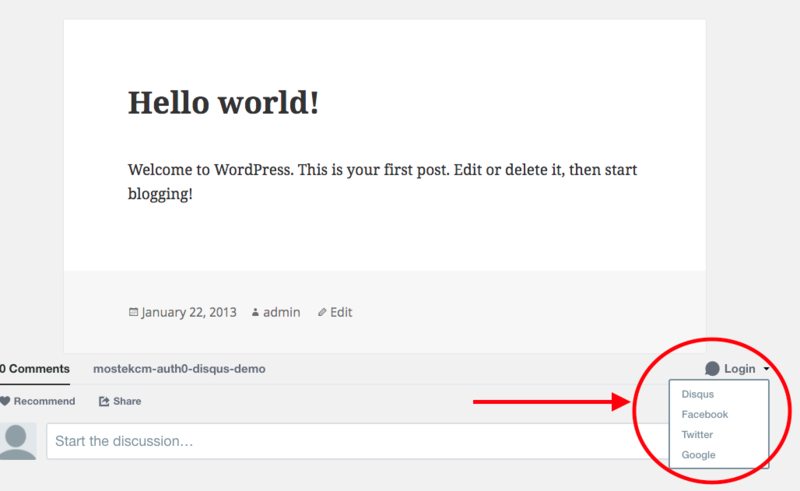 The default comment capability from WordPress can be greatly improved through the addition of the Disqus WordPress Plugin. Disqus provides a really nice interface for tracking and interacting with users through comments and reviews. The one downfall to Disqus is that it requires users to have a separate login alongside their WordPress credentials. That’s where SSO comes in. With SSO enabled for your Disqus account, your WordPress user accounts will automatically integrate with Disqus, enabling users to comment without having to log into Disqus as well as WordPress. 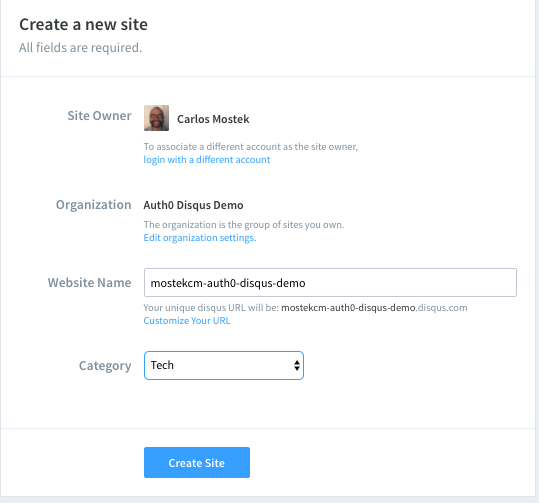 There’s already plenty of good information for how to set up the WordPress plugin for Auth0. Simply follow these steps and you'll have Auth0 integrated in no time. 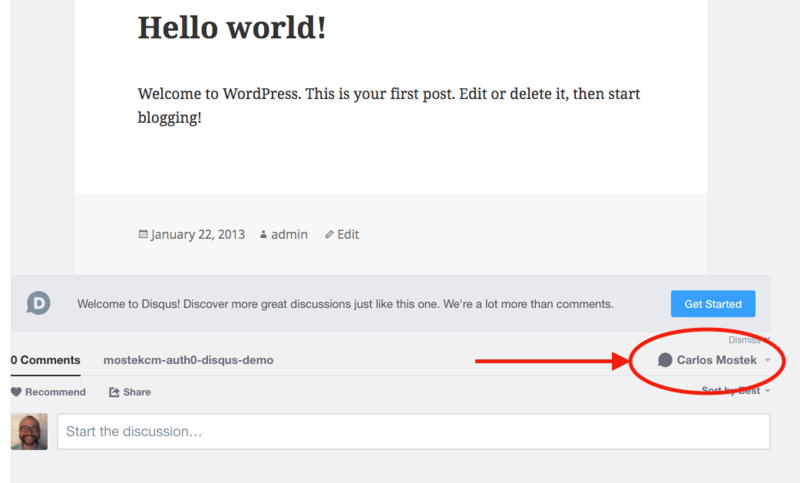 Go to the “Settings” for Disqus under “Comments->Disqus” in your admin section of WordPress. 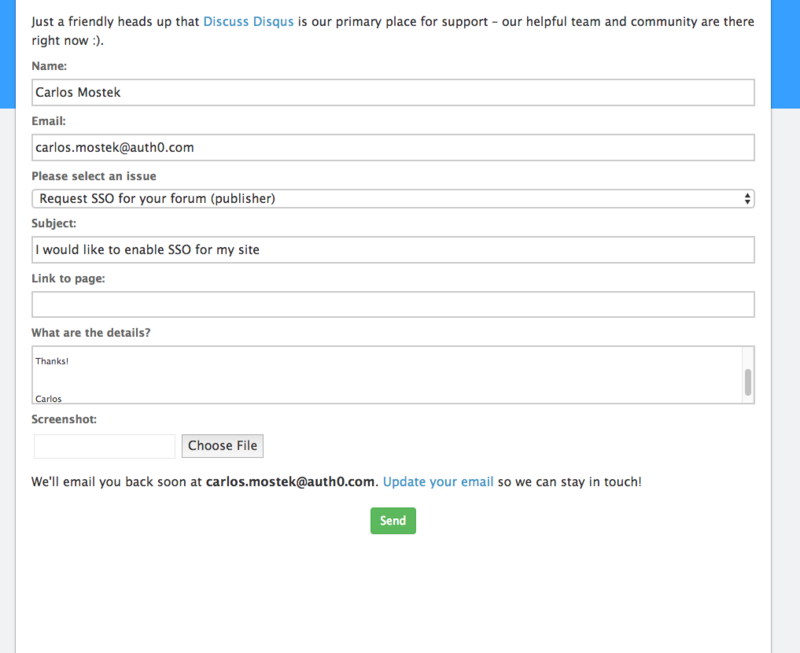 Enter your Disqus account credentials. Choose the website that you configured earlier. At this point you should be able to log into your site. Go to a blog post, and see the default comment section replaced with Disqus. Notice that you have to log into Disqus to be able to comment (if you don’t have to log in, you were probably already logged into Disqus, try logging out using the dropdown). Disqus requires a special setting to allow you to enable SSO. You will need to contact Disqus support to enable the functionality. You can do that here. I have a WordPress site that I am integrating with Disqus and I would like to have SSO enabled for that site so users don’t also have to put in their Disqus password. ￼ Unfortunately, you will have to wait 24-48 hours until they enable SSO functionality for your account. While you wait, they will send you some additional details on how to set up SSO. There is a lot of good reading here and I suggest you check it out. We will use the SSO on WordPress example. Once you get the email that SSO has been enabled, you can continue this tutorial. We’re only a few steps away from having SSO functionality up and running. Let’s get to it. NOTE: Ensure that “Anyone can register” is set to true in General->Settings. That’s it! You now have SSO functionality for your WordPress sites. Users signing up and logging in will no longer be required to enter a second set of credentials to leave comments on your site. 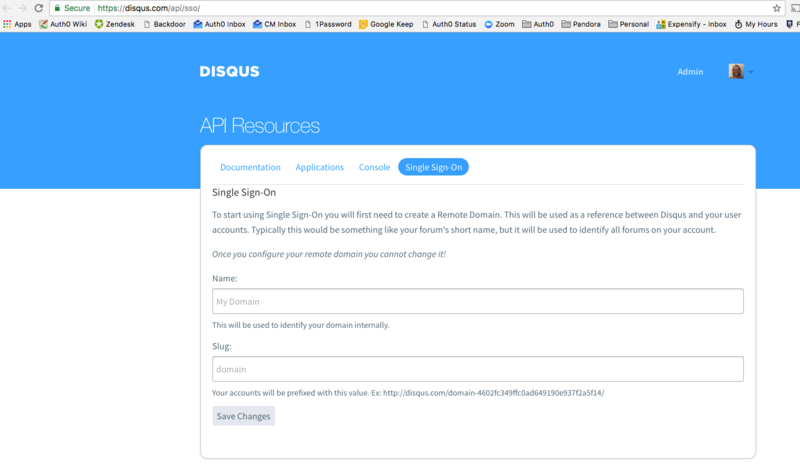 Today we saw how you can easily improve the user experience on your WordPress website with Disqus, Auth0, and Single Sign On (SSO). Lowering the barrier to entry for your users is always a plus, and not forcing them to enter another set of credentials to interact with your site is a big win here. 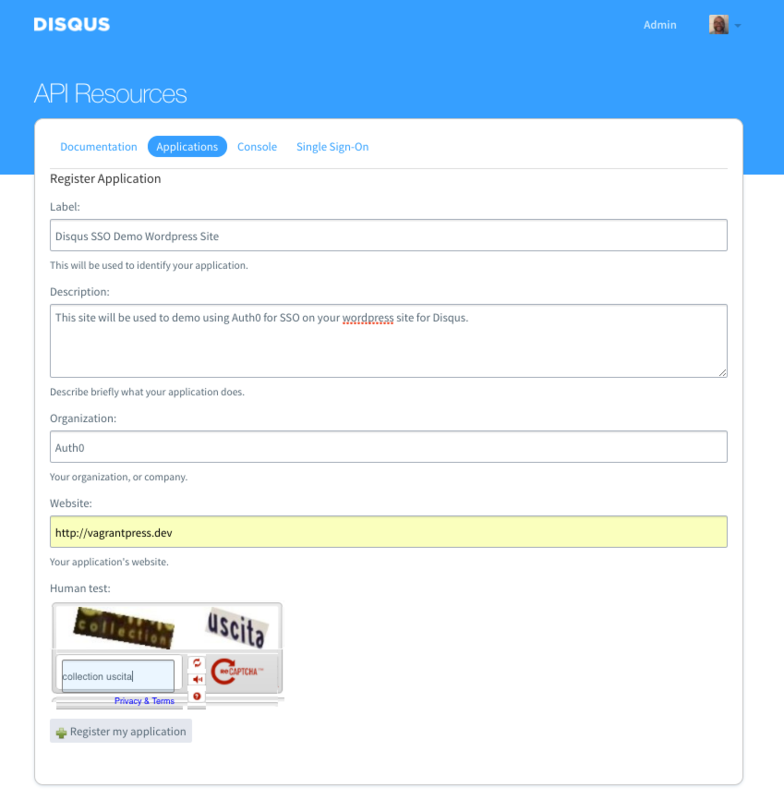 If you are running WordPress applications and using Disqus for comments, Auth0 can save time implementing SSO. Give it a try today.